Based in the Heart of the Jewellery quarter in Birmingham, we pride ourselves in paying the top prices for your old and unwanted jewellery. We have been in the trade for over 35 years and we will give the best value for your Gold. The Bullion Store caters for investors both big and small, whether you are adding to your existing portfolio or starting out with your first investments, the friendly, knowledgeable staff are always willing to assist you. 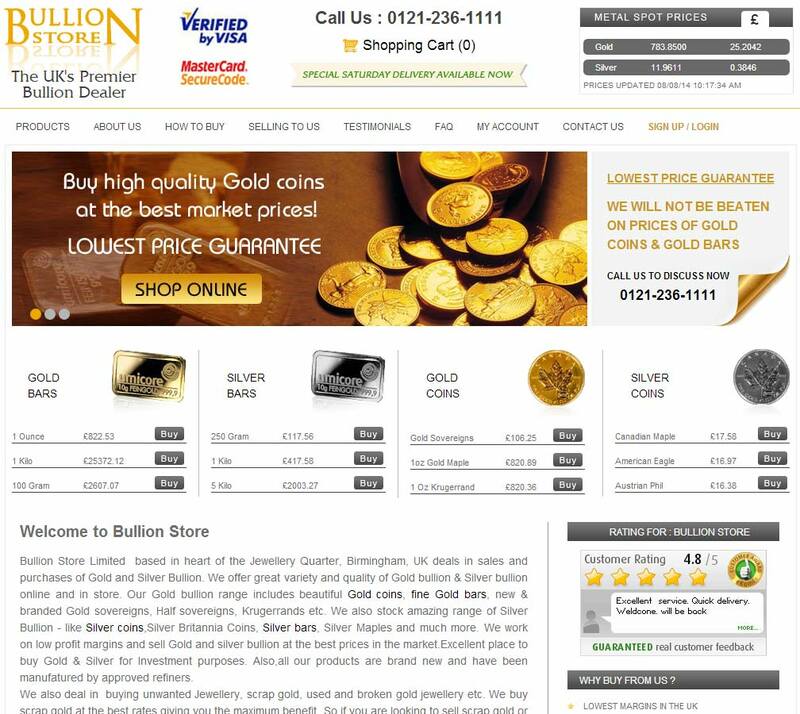 The Bullion Store Ltd are a long established precious metals dealer serving both the local market from their retail premises in Birmingham’s jewllery quarter and nationally through a well stocked e-commerce platform. As well as selling investment grade bullion bars and coins, they buy scrap and unwanted precious metals at good market prices. When doing business with Bullion Store - please say you saw them in Bullion.Directory. Read or add Bullion Store reviews and ratings using the "reviews" tab above. All Bullion Store details are believed to be correct at the time of listing. Please report errors here. 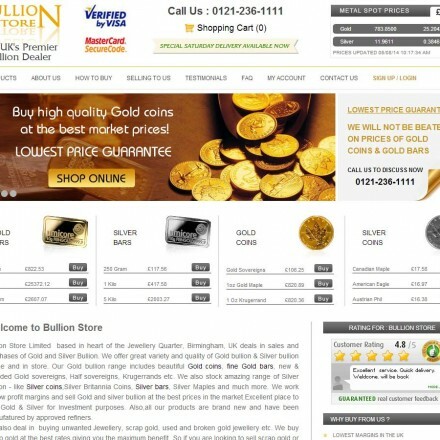 Super retailer makes owning bullion easy for people like me with little experience of buying or selling gold.